If your small business is struggling with debt, filing for Chapter 7 bankruptcy might help. Chapter 7 bankruptcy won’t help every small business owner; find out when it might and might not work for your business, and when other options might make more sense. If you’re considering filing for bankruptcy because your small business is drowning in debt, you’re not alone. The economic downturn that began in 2008 took many small business owners by surprise. For a variety of reasons — from reduced consumer spending to cutthroat competition, cutbacks by business customers, and shrinking (or disappearing) lines of credit — the number of bankruptcies filed by small business owners has skyrocketed. Will Chapter 7 Bankruptcy Help? Chapter 7 personal bankruptcy could be the right solution to many of these problems. Chapter 7 personal bankruptcy covers only debts for which you are personally liable. If your business is a sole proprietorship or general partnership, you are personally liable for all of your business’s debts, and you can get them wiped out in Chapter 7 personal bankruptcy. If your business is a separate legal entity (e.g., a corporation or limited liability company (LLC)) you are personally liable for the business’s debts only if you personally signed for them or guaranteed them. Otherwise, the corporation or LLC is responsible for its own debts and must file its own business bankruptcy case to discharge them. You may have to close your business if you file for Chapter 7 personal bankruptcy. If you’ve already decided that you want out of your business, this won’t be an important consideration. If not, realize that as part of the bankruptcy process, the bankruptcy court may want to close your business down, at least temporarily. Many business owners, especially those who own service businesses with few assets, may be able to keep their businesses open during Chapter 7. Many business owners close down, use Chapter 7 bankruptcy to get out from under their debts, and then immediately start a similar business. If your small business finances have reached the point where bankruptcy is a serious consideration, you may feel anxious, isolated, or even like a failure. But you’re not alone: The current recession is taking down thousands of businesses, large and small, including many that were well-established stalwarts of our economy. Our bankruptcy system recognizes that financial missteps, over-extension, and simple bad luck happens, and it provides relief to those who are willing to let the court help them get out from under. Filing for bankruptcy can even be an important step toward future business success. Chapter 7 personal bankruptcy gives small business debtors the opportunity to wipe out some or all of their debt while protecting their personal assets as much as possible. In fact, many bankruptcy filers go on to start another business and become successful the second or third time around. 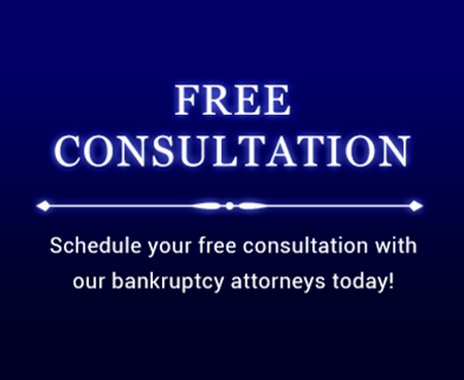 If you would like more information about Chapter 7 bankruptcy and business debts, contact the Law Office of Howard Tagg at (903) 581-9961 to schedule a free consultation.